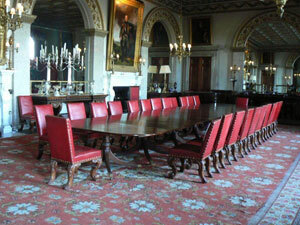 We provide a comprehensive conservation service for furniture collections and historic building interiors. Our team is experienced in the conservation of furniture with decorated surfaces including marquetry, Boulle work, carving, gilding, and Japanning. We offer a complete solution for the conservation of period upholstery and work closely with specialist textile conservators to undertake conservation of upholstered furniture including state beds. We also work closely with collections to provide conservation management plans, condition surveys and insect pest control advice. Our preferred method of working with clients is to build a working relationship so that we understand the collection and can work with the client to ensure continuity of care for collections and interiors. 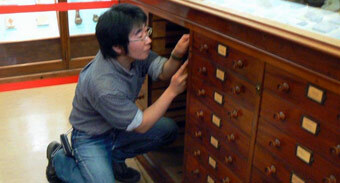 Sometimes objects have gone beyond conservation works and require the restoration of finishes and missing elements to recreate losses and return objects and interiors to a complete state. We have in the past rescued items of furniture which have been unfortunate enough to suffer serious deterioration in an unsuitable storage environment. 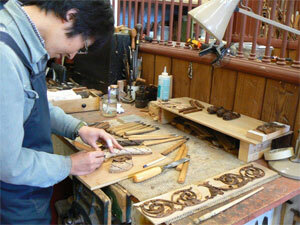 In addition to this we provide traditional polishing for furniture, period staircases and historic panelling. Interior treatment includes conservation of Oak panelling, fitted bookcases and historic display cases, conservation of applied Gibbons style carving. We also provide conservation treatment and recreation of architectural gilding and decorative room elements including parcel gilt cornices, carved and gilded pelmets, gilt fillets. Other internal details which often require treatment during the refurbishment of a period interior include original window shutters, fine internal doors, architraves and fire surrounds. additional services provided to country houses, museums, churches, private collections and historic properties also include: Condition reports, Conservation management plans, Assesment of water damaged furniture, Assesment of fire/smoke damaged furniture and Conservation treatment plans.